PIctures included. 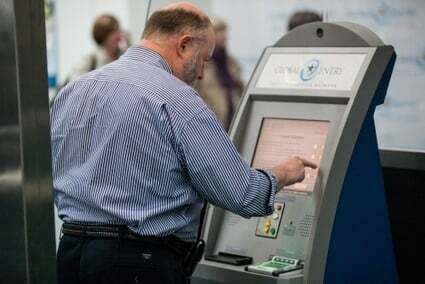 Travellers proceed to Global Entry kiosks, present their machine-readable passport or US permanent resident card, place their fingertips on the scanner for fingerprint verification, and make a customs declaration. The kiosks then issue them a transaction receipt and directs the passenger to the baggage claim and the exit, and is open to US citizens, nationals, lawful permanent residents, and citizens of certain other countries.